Unlike small children, these students are old enough to want to be involved in your discussion with their parents. They need to feel included in the decision-making process. However, Mom and Dad still need to be a big part – they’re the ones paying for class, taking care of transportation and, ultimately, the ones who have the final say. This introduction system practically runs itself. Every student who experienced an introductory meeting wants to “give back” by being the one to befriend a new student. They remember how their first meeting made them feel welcome and a lot less nervous. Plus, the parents of newcomers are always impressed when a pre-teen or teen has the confidence to come over and talk to them and their child. I’ve scheduled an introductory class with Shelly (mom) and Karissa (11-year-old daughter) during our 6:30 pm Family Class. This is a popular time: there will be lots of pre-teen students there, and the class will be high-energy. I’ve gathered enough information from mom to know that Karissa is shy and has not enjoyed team sports in the past. Shelly wants her daughter to meet more people her age and make friends, but right now, Karissa just stays in her room and reads. She’s very bright and wants to become a veterinarian – she loves dogs in particular. Knowing little things like that about will help me to choose who I introduce her to during our meeting. This is where it helps to really know your students and their outside interests. Before Karissa’s scheduled trial lesson, I approach my student Daniel, a 12-year-old who loves sci-fi books and has two Great Danes. (They’ve been to the school a few times –outside, of course. Daniel’s brother sometimes brings them along for the ride when he picks Daniel up.) I tell him that we have a new student coming in on Thursday. 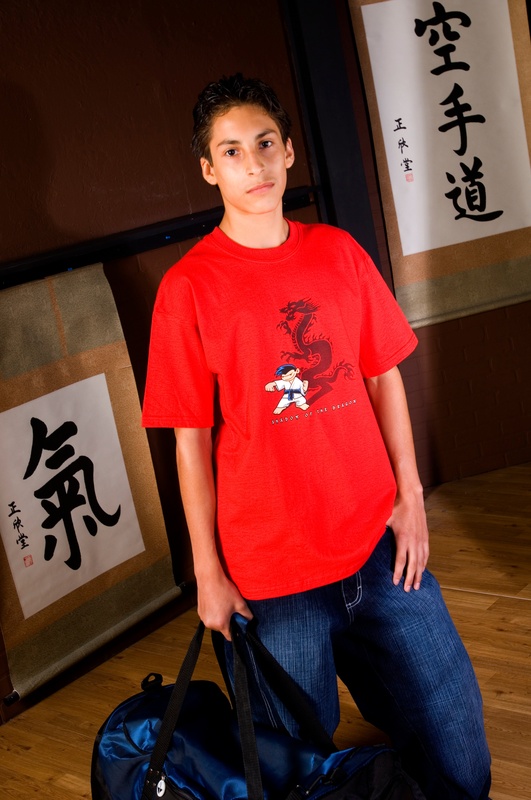 Of course, his answer is a very excited, “Yes!” Daniel loves karate classes; he’s eager to be an ambassador. When I arrive at the dojo on Thursday, the day of the trial lesson, I put a sign in the window that says, “WELCOME TO YOUR FIRST KARATE CLASS KARISSA – We are so excited to meet you!” This sign has our logo and phone number on it. When Karissa and her mom arrive at the dojo they already feel welcome because Karissa’s name is on the door! I give them a tour of the facility and then sit with them while they watch class. They meet the other parents watching class, and I tell Karissa about some of the other students on the mat. There are a few other girls who just joined – I make sure she knows she won’t be the only new member. After class, Daniel comes over and introduces himself to Karissa. He also says hi to her mom and shakes her hand. Then he tells them how long he has been at our dojo, and what his favorite hobbies outside of karate are. When he mentions playing with and walking his dogs, Karissa’s eyes light up. There’s someone else like her at our karate school! I let Daniel and Karissa chat for a little bit. When Daniel’s big brother comes to pick him up, I thank Daniel for his time and turn my attention back to Karissa and Shelly. Next, we go over class schedules, as well as our school’s values. I make sure they both know that here, Karissa will always feel like part of the team. Her friends here will count on her to show up to class. She is important to us. I let her and her mom know that there might be a day that things don’t go well at school or at home, and that those are the most important days to come to class. I ask Karissa if she will promise to give us the chance to help next time she has a bad day. She says she will! Now I’ve set the expectation that Karissa will come to class when she’s feeling blue. I’ve headed off at least one reason for skipping class, and I’ve let Shelly know that we’re here to help her daughter when things get tough. As a mother of four myself, I know that if someone told me they’d be happy to help my kids when they were having a bad day, I would have jumped at the opportunity! I also warn Karissa that there may be days in karate where she feels like she doesn’t “get” things right away, and might feel frustrated. I tell her that that’s okay. Everyone in the school, including me, has struggled to learn something at one point. But everyone at Community Karate will be rooting for her, no matter what. “Don’t give up when success is right around the corner!” I tell her. Before Shelly and Karissa leave, I let them know that that if it ever becomes a struggle for Karissa to get to class, for any reason, I want them to come to me. I understand life can be hectic, and there are many things – homework, financial worries, family issues, conflicts in someone’s schedule – that can get in the way of letting us do what we want. However, I tell them, there is always a way to figure things out, and I am an expert problem-solver. I thank them for visiting, and say that I look forward to seeing Karissa in class! This might seem like a lot of talking on a first visit, but if you don’t do this right away then you miss the opportunity to prevent dropouts before they happen. It’s far better to give students a list of reasons to stay when they first walk in, than it is to try and convince them not to quit on the way out the door. This positive approach has worked for me throughout the years, and I know it will work for you, too. When we set the expectation with students that at some point they might want to quit, but give them the reasons to want to stay, everyone wins. Stay tuned for the final part of this three-part series to learn how to retain your adult students!